We are always willing to communicate with your company about other additional information if your company requires. Thank you for your interest our services. Add : Room 6, Floor 14, Vimeco building, Lot E9, Phạm Hùng street, Cầu Giấy District, Hà Nội. Add : Room 6, Floor 4, Khanh Hoi building, Lot 2/3C, Le Hong Phong street, Ngo Quyen District, Hai Phong city. (Dragon Law Firm) - My husband and I are Australians working in Hanoi as teachers. We have been here for 10 months and have 2 year contracts. We are hoping to adopt a child and understand that we are able to do this after living here for a year. 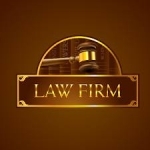 I have a legal question to pose to you and notice you offer free online consultations. 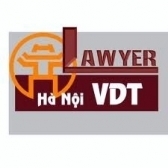 Dear Lawyer Nguyen Minh Long and colleagues Dragon Law Firm- the Bar Association in Ha Noi city . Through the introduction I are knows a lawyer’s office Dragon in Hanoi free consultation online, so I have a question want to ask attorney : Lam Hoang Kim worked for we do from 1/2011, don’t the labor contract and company doesn’t have of his records Lam. Dear Dragon lawyer’s office in Ha noi - I have a question as follows: My friend redirect to go on the road, past the crosswalk line to separate the two lanes they shall be crashing into by a drunk person. The traffic police arrived at the scene make records thereon and confiscated two vehicles. My friend was injured the face and fractured two teeth. The cost for surgery and recovery teeth can be up to 10 million VND. Car of my friend seriously damaged . The other person was not injured and car is also damaged mild. The traffic police were for two parties reconciliation but without success . So, How do handle the case on according to law ? And my friend want to be compensation accident insurance, they need what to do?